We have been Christmas-ing for the past few months at Hoffman Media, and I just love this time of year. I get so excited when the holiday photography begins, and I start smelling aromas of the best holiday dishes coming from the test kitchen. It won’t be long until festive music will be playing everywhere! There are numerous new issues coming out in the next couple of months, so I wanted to give you a little review of each in hopes that you will be inspired as much as I have! The holiday issue! Those cookies on the front cover are just so delicious, I could hardly stop myself…well, you know! They bring back so many memories. 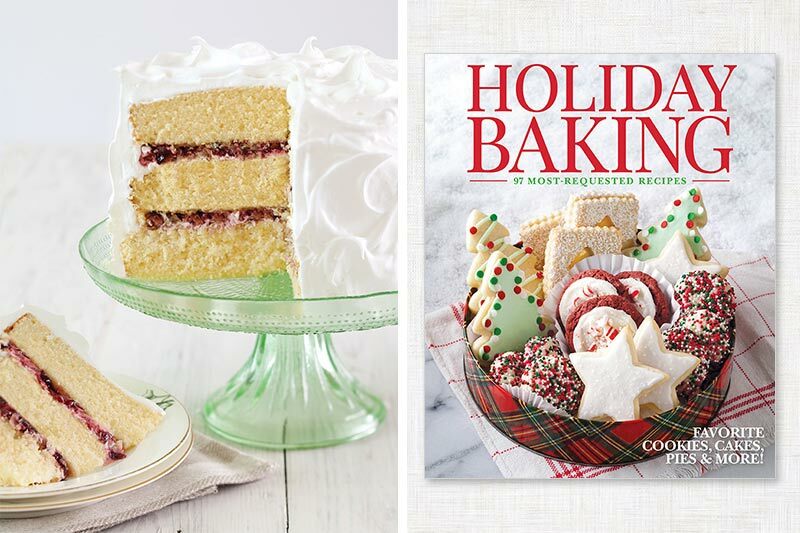 Your holiday kitchen will be filled with whiffs of both sweet and savory baked goods! The section all about caramelized white chocolate is wonderfully unique, and each treat is a gorgeous gold color that is perfectly festive! 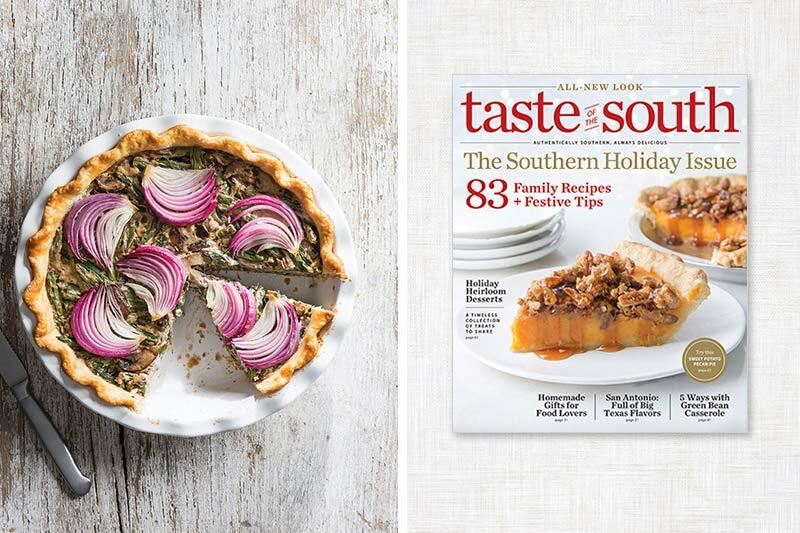 With 115 holiday recipes and ideas, this issue is sure to deliver inspiration for the season! And the Pear & Cranberry Tart simply stole my heart. Cranberries are lovely in rich desserts because of the contrasting tart burst of flavor they give. Baking with them is essential to the holidays for me. And just wait until you taste the Milk Punch Bread Pudding! Oh, my—you will love this issue from start to finish. 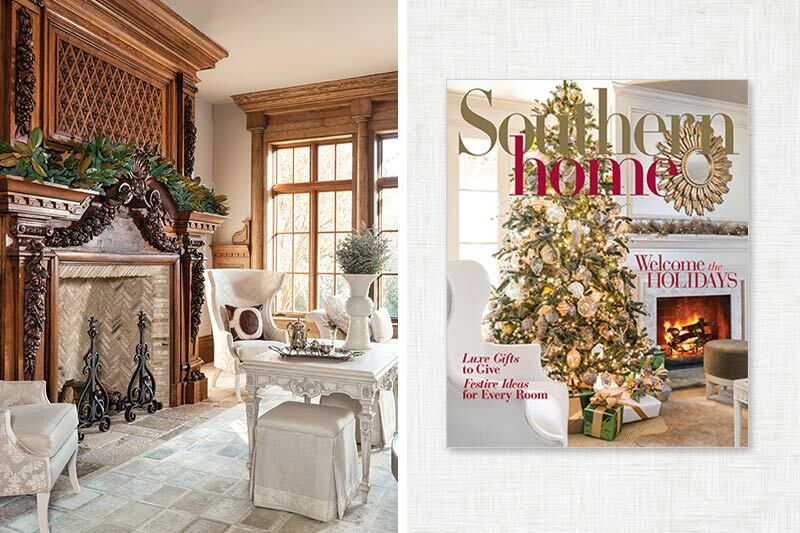 This new issue features beautiful homes that are decked in the most exquisite holiday décor! You will be inspired to decorate every room in your house…the French Country home features one of the most beautiful mantels I have ever seen. It is often the simple things that we add to a room that make the most beautiful statements. This cover just makes my heart happy—there are two of the cutest dogs I have ever seen welcoming us inside this issue! 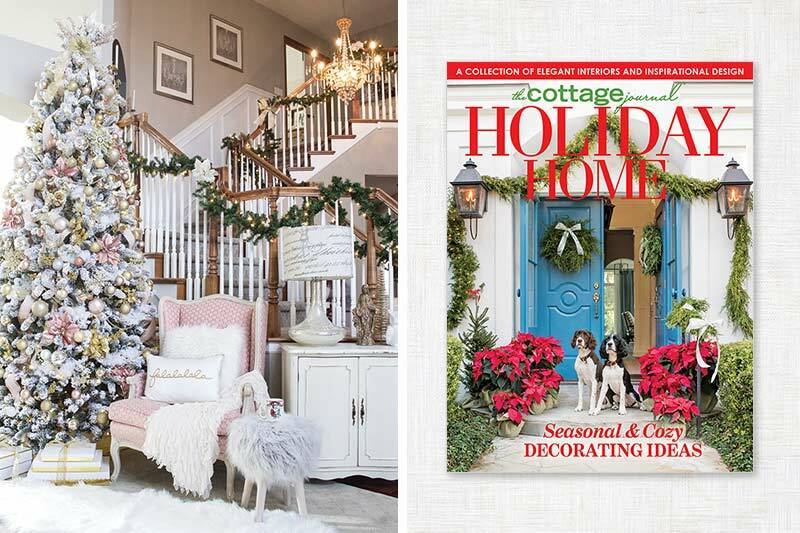 The Cottage Journal is all about cozy spaces and homes that are inviting. 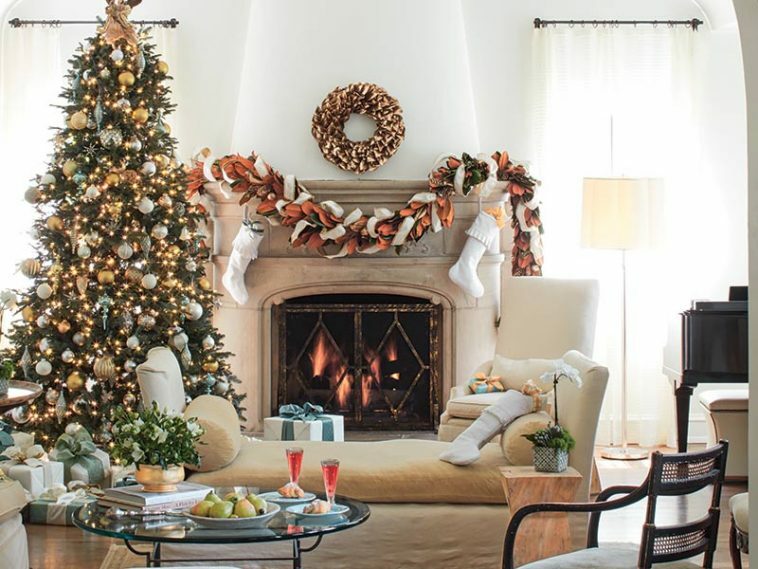 You will find countless ideas for a warm and welcoming home with plenty of holiday cheer. If you love to decorate, then this issue will delight you! Just wait until you see the enormous collection of decorated trees! It makes me want to put up 10, but don’t tell Neal! 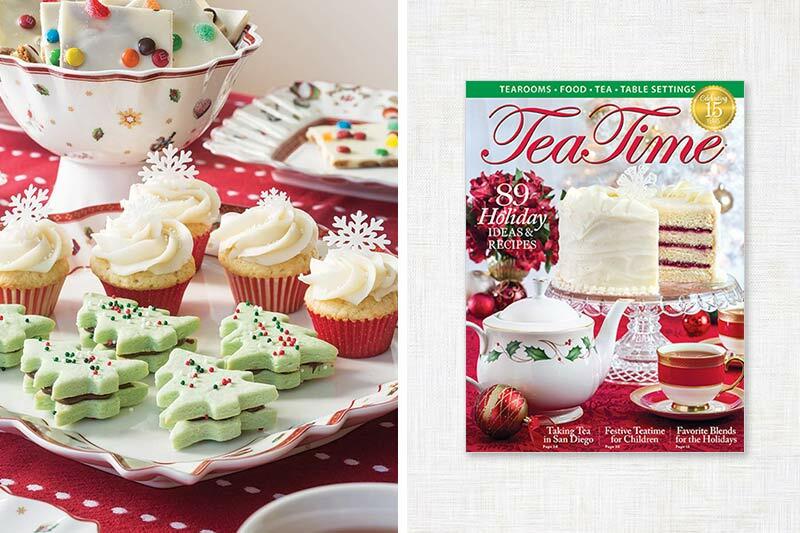 I just love a Christmas tea, and the 89 ideas shown in this issue will make my tea party planning easier and so festive! The Merry Little Christmas Tea for children is one of my favorite articles. Can you imagine a Snickerdoodle Scone? Every little delicacy is made just for kids and for those of us who love tea with our grandchildren. The Chocolate-Filled Christmas Tree Cookies will be a winner at my home! 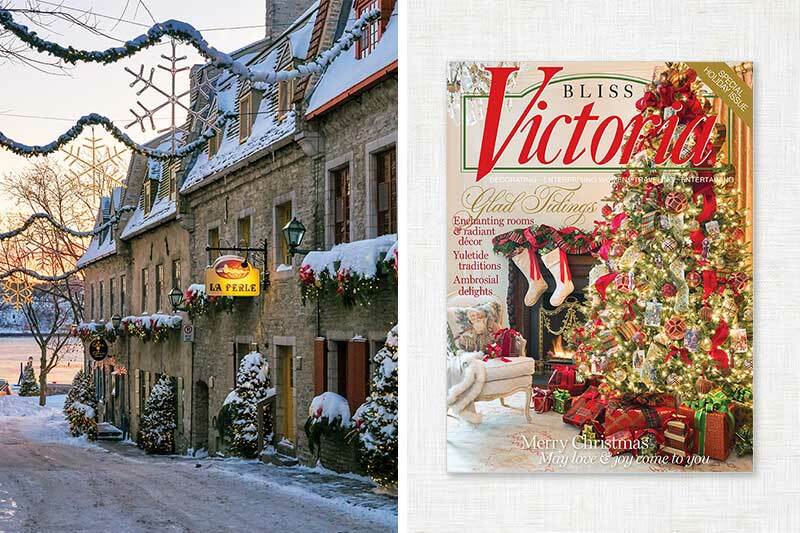 The magic of Christmas comes to life in the pages of this holiday issue. The Christmas tour of Québec City is truly incredible. The Christmas spirit comes to life with each boutique, bistro, and home reflecting the French character of this city! With the turn of every page, you will delight in the beautiful photography and ideas that will inspire your own Christmas. 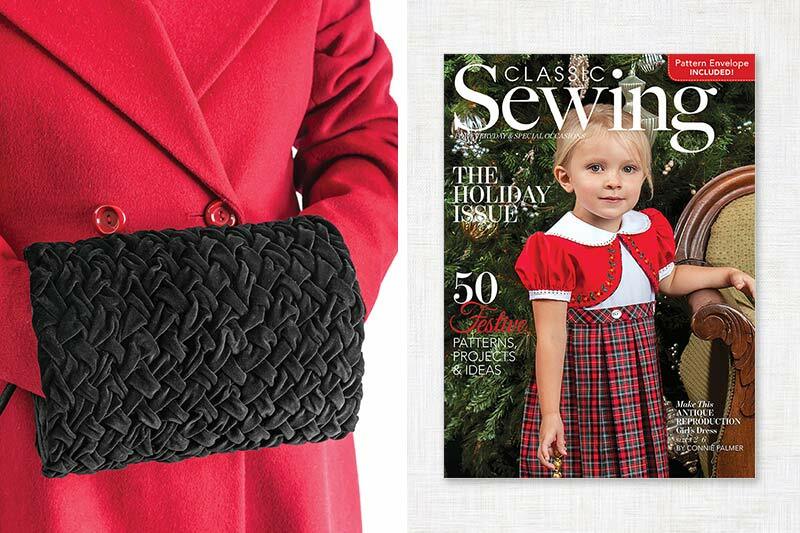 This holiday issue is filled with beautiful ideas for your holiday sewing! The cover dress is a remake of a 1950s classic in tartan plaid. And it is absolutely stunning. This year I am going to sew for me and make myself the Hand Muff. I can tuck my valuables inside and enjoy this traditional accessory that goes back to Hollywood times. Starlets carried these stylish muffs everywhere in the winter! 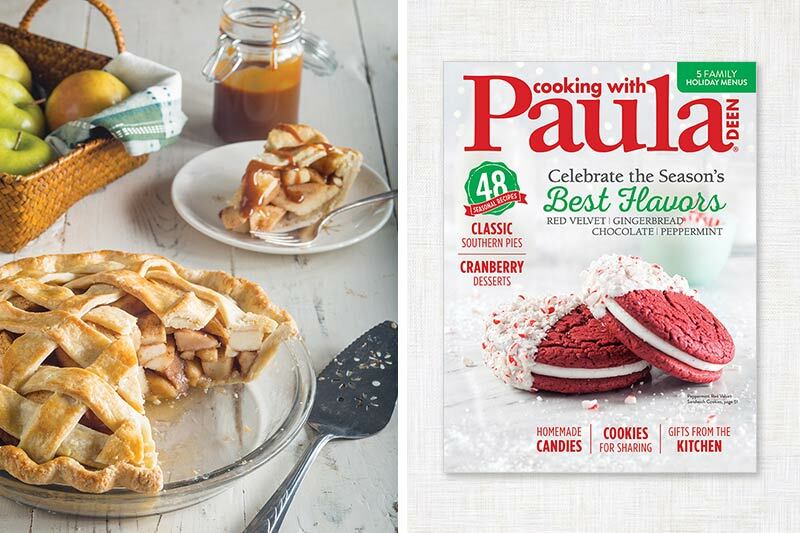 Paula is featuring her favorite holiday flavors: red velvet, gingerbread, chocolate, and peppermint! What more could you want in your holiday dessert lineup? Plus, one of my favorites, her Apple-Pear Lattice Pie! Along with four other scrumptious pies, there are recipes galore for your Christmas dinner. 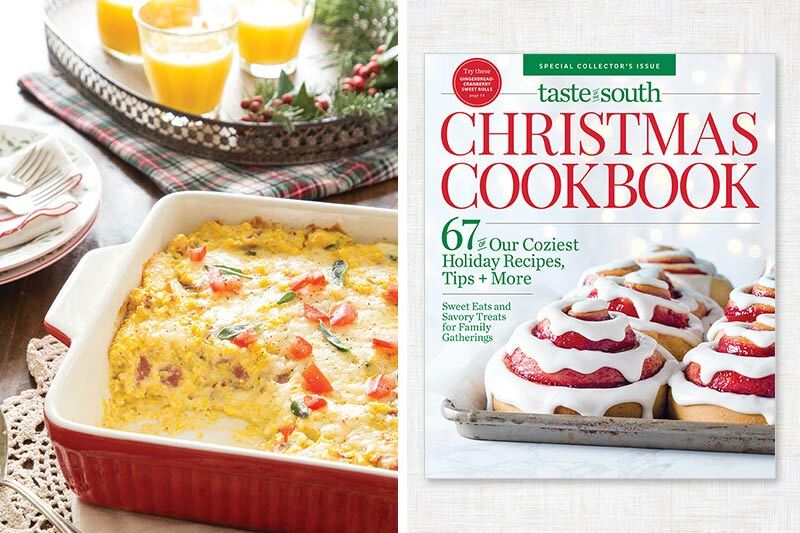 Oh, my—the Southern classics are just beckoning me to get out my casserole dishes and get cooking! For those of us who cook throughout the holiday season, our everyday meals are very important! I want my family to drop by for dinner and enjoy wonderful, wholesome food. I have become a fan of Sheet Pan Suppers…that’s right, you use just one pan! And when you are really scurrying for the holidays, the five-ingredient recipes featured make cooking easy. From the glimmering tree on the cover to the very last page featuring the heartwarming essay by Ann Dorer, this issue is filled with glorious ideas and places to visit! My favorite destination, Williamsburg, is featured and displays colonial homes dazzling with the charm of Christmas past! And the wonderful Antebellum Christmas in Eufaula, Alabama, is glistening in every room. From the food, china, table settings, and tree to the home decorations and places to visit, this issue is a merry collection of Christmas joy. 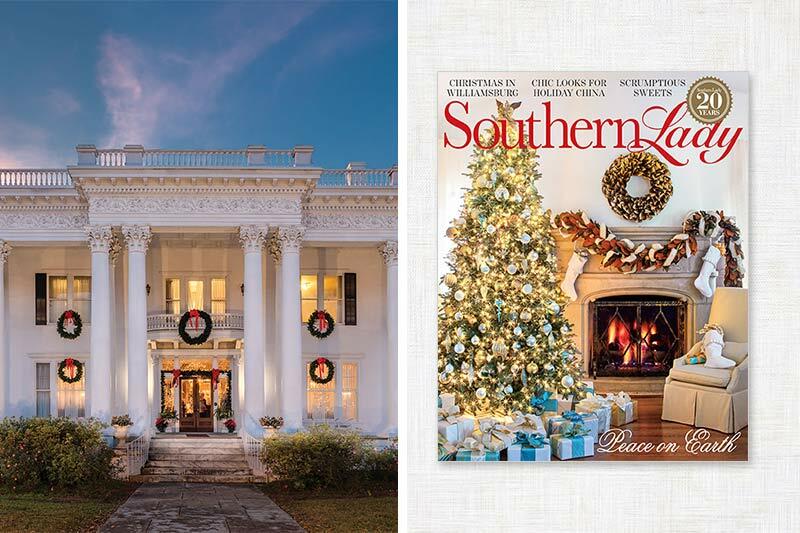 The Southern Holiday Issue! And that pretty much says it all. You’ll find 83 test kitchen-approved family recipes filling these pages. Wait until you see the Sweet Potato and Apple Stuffed Pork Loin Roast! It will be beckoning you as it did me! Side dishes galore make for extra-special holiday meals. I have never had Bacon Cornbread Dressing, but there’s a first time for everything because I just have to add it to my menu this year. And to top it off, wait for it…five ways to make a Green Bean Casserole! I just love new twists on classic Southern favorites! “Wow” is all I could say when I saw the Gingerbread Cranberry Sweet Rolls on the cover! After flipping through this issue, my Christmas morning menu is solved. The Country Ham and Grits Casserole will be the main dish at our house, accompanied by the fantastic side dishes presented with it. It will be hard to keep it to six recipes, but I will try my best! 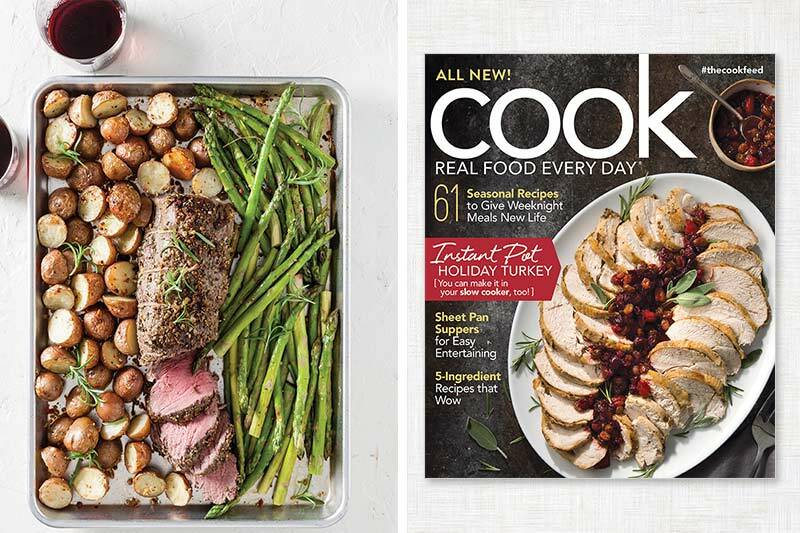 Tucked inside this special edition are 97 of our most-requested recipes. I especially love the kitchen tips that accompany these classic recipes. I was trying to find my favorite recipe in the issue, and I finally settled on one, only because I haven’t made it since Neal and I got married. It’s the Lord Baltimore Cake! 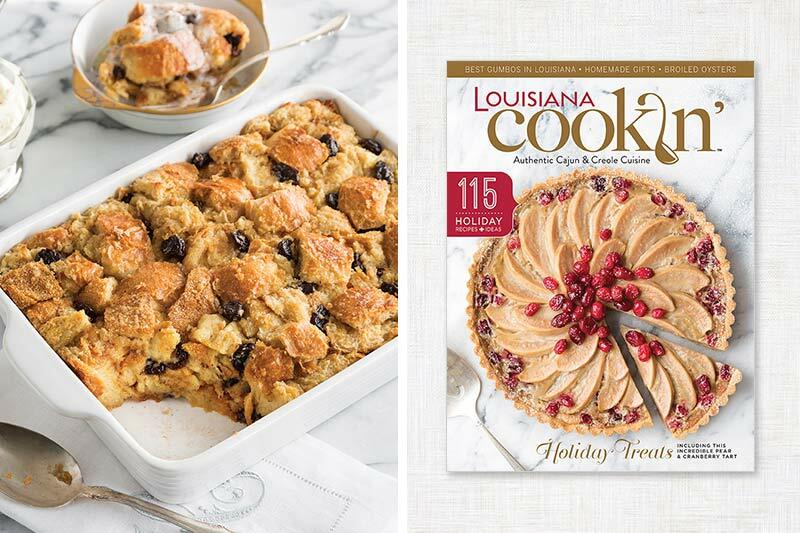 This exceptional collection puts the very best cakes, pies, tarts, cookies, and Christmas breakfast favorites all in one place! Well, it made me tired writing about these holidays issues because I realized the amount of work that our staff puts into every page! 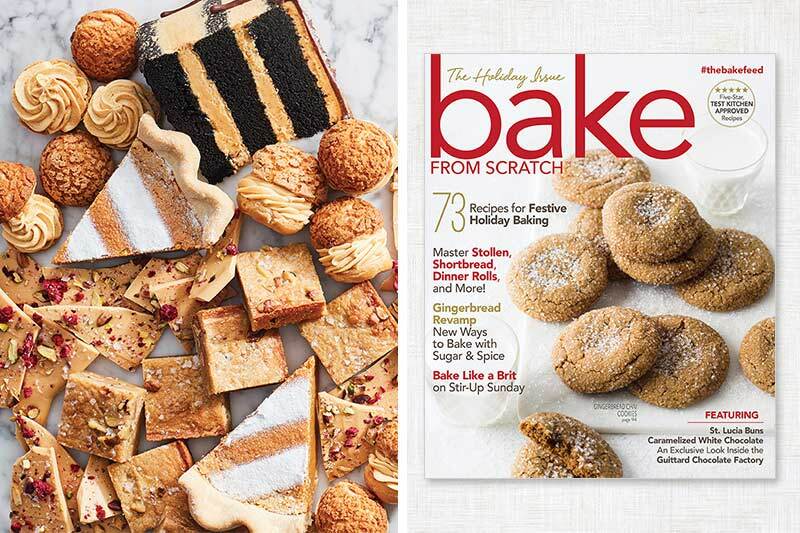 As you are prepping your home and menus for your holidays, these magazines will be a wonderful asset to you. If you are having trouble finding these is your area, you can order them straight from us. Order from The Hoffman Media Store, and your own copy will be on the way to your doorstep! To shop straight from this post, simply click the issue cover! Merry Christmas, early! planning menu’s together now and plan on using all recipes from these magazines. It will be good conversation, fabulous eats, and new tradition! 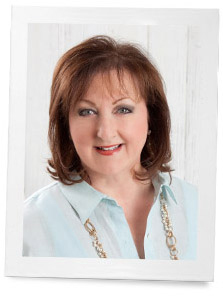 I’m creating my own new Fall and Winter Holiday Menus compliments of Phyllis! I loved the article on Quebec in Victoria. I am of French-Canadian ancestry, and my husband and I went there for our honeymoon MANY years ago. It brought back memories, and I was thrilled to see a picture of the restaurant Aux Vieux Canadiens. It was one of our favorites, and I was so happy to see that it still thrives. Of all the pretties shown in this article, my eyes went straight to the Muff! Have always loved them from the time Mother’s creation of a very sophisticated tweed wool coat, hat and muff allied me to feel like quite the young lady. I couldn’t have been more than five, but felt quite grownup. Picked up Christamas Victoria last night and have the Southern Lady. Unfortunately, for several months now I continue to be unable to find TeaTime. How I miss it!! You can order TeaTime from us, just click on the photo of the magazine and it will take you to the place where you can order! Thank you!!! Oh my goodness! Each one is going to be a treat, I know. I’ve only seen Victoria and Southern Lady, but can only imagine what the others are like! We need another Southern Ladies Conference! With all the turmoil going on everywhere, we need a weekend of good old Southern fellowship. If anyone can put one together, it would you. You have proven that you have the talent for gathering up strangers that turn into lifelong friends. I know it is a huge request but so needed. We are working on a plan!!!! We feel like kids looking in a candy shop. What beautiful magazines. We have the Victoria November/December issue. It is gorgeous as is the Tea Time. Hoffman publications are always beautiful and entertaining.